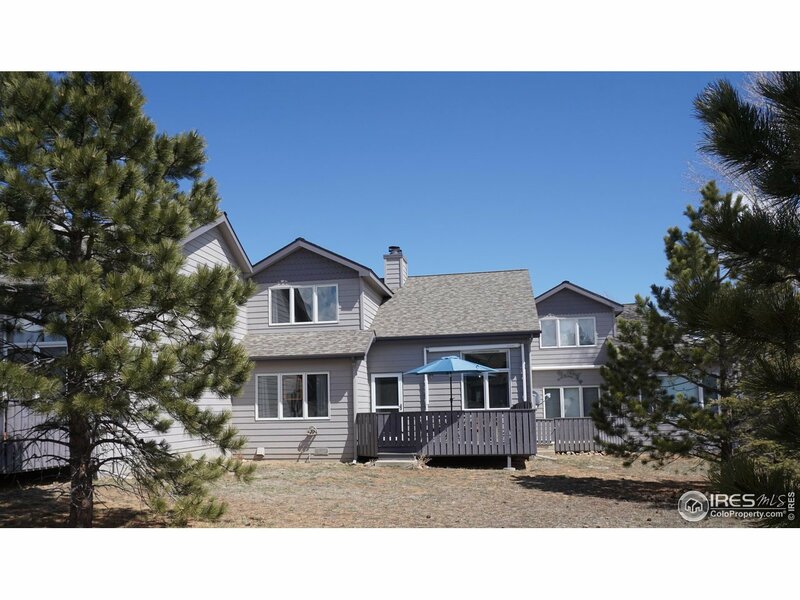 Enjoy spring time in Estes Park with this wonderfully updated, one of a kind Ranch Meadow Condo.Great location,south facing, with big mountain views, quiet and private setting that feels like a townhome with a yard. Hardwood floors throughout the main level, granite counters in kitchen, updated baths,pantry&laundry area.Master bedroom with walk in closet and large bath with walk in shower. Cozy up to one of the 2 fireplaces or relax on the deck that can be enjoyed year-round with a sun awning.